The book, Meringue Girls, is colorful, fun and inventive; the image above gives you a sense of the vibrancy of the authors’ approach. The recipes all spin off of their basic meringue mixture, which is here below. The technique of starting with superfine sugar and heating it in the oven is interesting and necessary for their recipes, so while it might seem odd, we recommend that you follow their advice. There is no stabilizer, such as cream of tartar; the warm sugar works miracles. 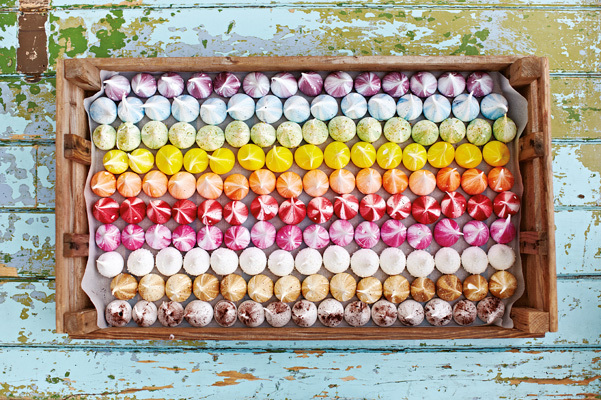 You will be rewarded with amazing, delicious, sweet meringues. 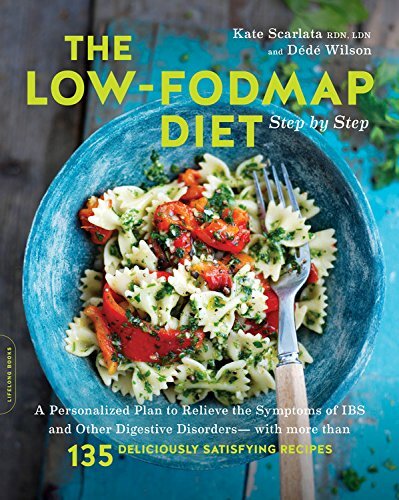 We have included two recipes from the book: the Salted Caramel, Poached Pear, and Chocolate Drizzle Meringue Slab and the Rainbow Cake. 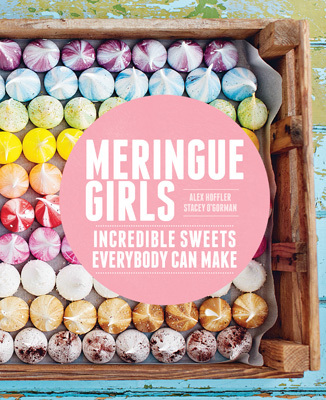 Excerpted with permission from Meringue Girls: Incredible Sweets Everybody Can Make, by Alex Hoffler and Stacey O’Gorman, published by Chronicle Books, 2013. Photographs by David Loftus. Our meringue to sugar ratio is very easy to remem­ber: it is one part egg whites to two parts sugar. A large egg white weighs 30 g, so use 60 g of superfine sugar per egg white. But always weigh your whites, as eggs vary in size. Line a rimmed baking sheet with parchment paper, pour in the sugar, and put the baking sheet in the oven for about 5 minutes, until the edges of the sugar are just beginning to melt. Heating the sugar will help it dissolve in the egg whites more quickly and help create a glossy, stable mixture. 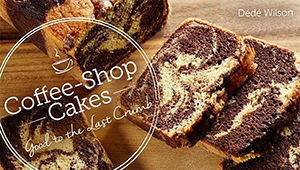 Meanwhile, make sure the bowl and whisk attachment of your standing mixer are free from grease. Pour the egg whites into the bowl. Whisk on low speed at first, allow¬ing small bubbles to form, then increase the speed to high and continue whisking until the egg whites form stiff peaks and the bowl can be tipped upside down without the whites falling out. Stop whisking just before the whites take on a cotton-woolly appearance; if they do, they have been over-whisked, and the egg protein has lost some of its elasticity. By now, the sugar should be ready to take out of the oven. With the whites stiff and while whisking again at high speed, add one big tablespoonful of hot sugar after another to the bowl ensuring that the whites come back up to stiff peaks after each addition. Don’t worry about small clumps of sugar, but avoid adding large chunks of caramelized sugar from the edges of the baking sheet. Once you have added the sugar, continue to whisk on high speed for 5 to 7 minutes. Rub a bit of the mixture between your fingers, and if you can still feel gritty sugar, keep whisking at high speed until the sugar has dissolved, the mixture is smooth, and the bowl is a little cooler to the touch. The meringue will continue to thicken up during this stage. You know it is ready to use when it forms a nice smooth, shiny peak on the tip of your upturned finger.